Dynasty, established in 1994, is one of Lahore's most reputable Chinese restaurants and offers authentic Szechuan cuisine in a traditional oriental atmosphere. Our Chinese Master Chef Erbing Yang has over 10 years of professional cooking experience of five star cuisine and dining and is proud to present his specialty - Szechuan cuisine to our honored guests at Dynasty. As the winner of the Consumer Choice Award for the best Chinese restaurant, Dynasty continues to be a popular choice among foreigners and discerning locals alike. 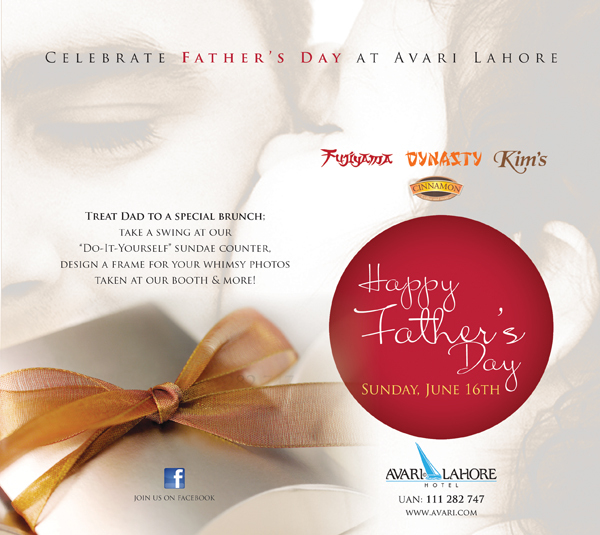 Whether in search of delicate dim sum, (Dim sum literally translated means small food to touch the heart, spicy Szechuan sizzlers or just a tasty Chinese take away, Avari International Hotels award winning Dynasty Chinese Restaurant located at Avari Lahore offers truly authentic Chinese cuisine prepared by well trained chefs. Szechuan cuisine is a style of Chinese cooking originating from the Sichuan province of south western China, where it is famed for its bold flavors particularly the spiciness resulting from the delicate use of chili and the numb-tingling flavor of the all important Szechuan peppercorn. The menu offers a vast selection of fine Chinese dishes, many of which are cooked in the classic Szechuan style. The cuisine draws heavily on pickled and dried foods, and at Dynasty all ingredients are of the most premium quality. Fresh steamed fish is on the menu seven days a week, along with sizzling and spicy fresh Tiger prawns and lobster which are all served with a selection of fresh and crisp stir-fried vegetables including baby broccoli, carrots, baby corn, young spinach leaves and many types of mushrooms. The restaurant seats 94 guests and is quite popular during lunch time when business people and shoppers are in search of a great value meal. Some favorites on the menu include Dim Sum, hearty soups, prawn and chicken fried rice, crispy spring rolls and stir-fried noodles. The dining experience at Dynasty is tailored to give you an authentic encounter of true oriental values. Tracing its origins to the late Qing dynasty of ancient China, you'll enjoy an atmosphere of dim lights, soft classical Chinese music, dramatic vaulted ceilings and authentic décor, creating an exceptional ambiance reminiscent of the ancient Imperial Palace. An experience at Dynasty ensures taste, elegance, authenticity and above all your satisfaction. Dynasty, serving the true taste of China for over 19 years. Private Party Facilities: Yes, Birthday/Wedding/Anniversary/Lunch/Dinners can be arranged for 20-25 people. Restaurant staff is available to create a festive birthday ambiance upon request. We do not take private parties in restaurants. Business Lunches: Yes, please inquire within for detail. Catering: Home and office catering service for a minimum of 50 guests. Customized menus are available. 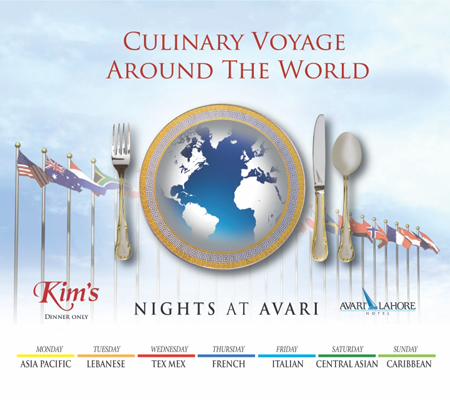 Food will be catered to the guest’s premises through banquets with cutlery, seating arrangements and waiters. 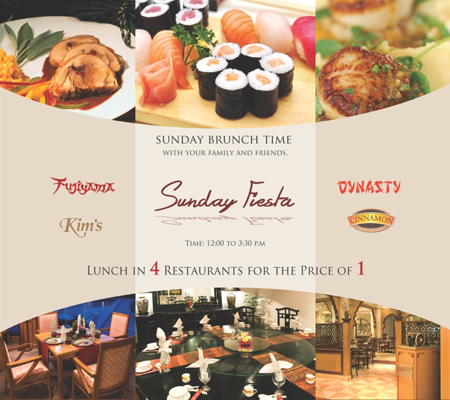 Brunch: We offer the Sunday Fiesta Buffet which offers Chinese cuisine every Sunday from 12noon-3:30pm. Pre-Set Menus: Yes, preset menus are available during lunch and dinner along with a'la carte. There are also Chef’s Specials offered as a preset menu which include an appetizer, soup, main course and dessert. Parking: Plenty of secure inside parking is available. Loyalty Card: Avari Gold Card. Please ask about current discounts. What to Expect: Very attentive, friendly service and Authentic Szechuan cuisine served in one of Lahore's most popular and loved Chinese restaurants. Click the pink marker on the map for driving directions.